Oracle updates all Planning & Budgeting Cloud environments (PBCS / EPBCS) monthly to address defects and introduce new features. These updates are delivered automatically on specific dates scheduled by Oracle, during the mandatory daily maintenance window. Keep in mind that while you can configure your daily maintenance window time, you can't change the dates these updates are applied. 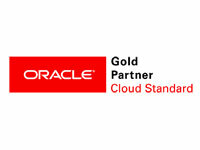 Oracle announces next month's update dates via newsletter at the end of each month. March 2018 updates are currently scheduled to be deployed in test environments on Friday, March 2nd and to production environments on Friday, March 16th, starting at 10PM UTC. Any schedule changes are also announced via the newsletter, which is automatically sent to all cloud administrators (keep an eye out for Oracle emails with Enterprise Performance Management Cloud Services in the subject). A set of batch and PowerShell scripts are now available in the EPM Automate documentation, as examples on how to leverage and automate the use of the existing provisionreport command to generate a report that highlights the differences between current user access versus access given at the time the report was last created. Automating these to run on a periodic basis can shed quick light as to how user access is modified over time, which can be very useful for auditing purposes. The example scripts can be found here. Smart View now supports integrated business process navigation flows. Service Administrators can connect multiple EPM Cloud subscriptions by creating "navigation flows", namely, clusters (the colored buttons that appear in the home page of a cloud web page), cards (the sub-buttons that appear when clicking on those colored buttons), etc. With this update, these navigation flows become "available" in Smart View as shared connections (where one shared connection can connect to multiple, previously set up cloud products) so that users can navigate across any combination of the supported EPM subscriptions from one unique link. A new dashboard artifact, infolets, has been released. 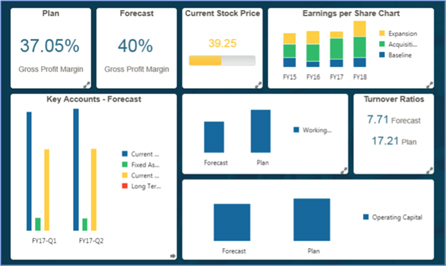 An infolet is a small interactive box used to display a small data set that is meant for quick consumption at a glance, using text and charts. Oracle has made available the following screenshot as an example of an infolet page (where several infolets can be displayed and automatically arranged based on size and space), however, not all features included in the image are supported at this time. A layout update in the EPM cloud application creation page. A new server setting in Financial Reporting Web Studio. A new schedulable job type: Optimize aggregation (for ASO cubes). More details including a full list of defects fixed on the March 2018 Planning & Budgeting Cloud update can be found here. Want to know more about Oracle Planning and Essbase? Please complete the form below and we'll get back to you shortly.